The new commuter ferry between Seattle and Kingston launched today, raising real estate possibilities (and prices) on that side of the water. The Kingston Fast Ferry is a passenger-only ferry that makes the Kingston-to-Seattle run in just 39 minutes. The average Seattleite commute, for comparison, was 54.22 minutes last year. The Kingston Fast Ferry will make six round-trip crossings every weekday. Morning voyages will leave Kingston at 5:25, 7:05, and 8:45 a.m. After-work journeys will return at 3:25, 5:05, and 6:45 p.m. Limited weekend service will start in May when the ferry switches to a summer schedule. Those looking to avoid vehicular traffic (and find cheaper homes) now have another sea-borne alternative. 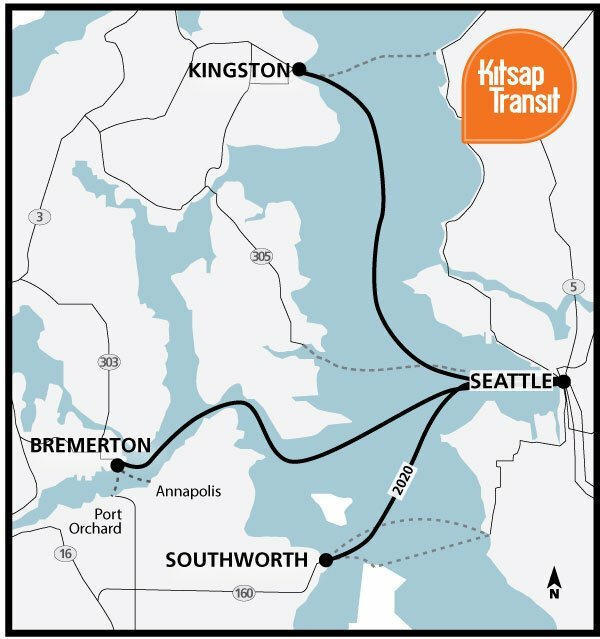 To support this public transit option, Kitsap Transit has two express-bus routes that connect the Kingston Ferry Terminal to nearby park-and-ride lots. 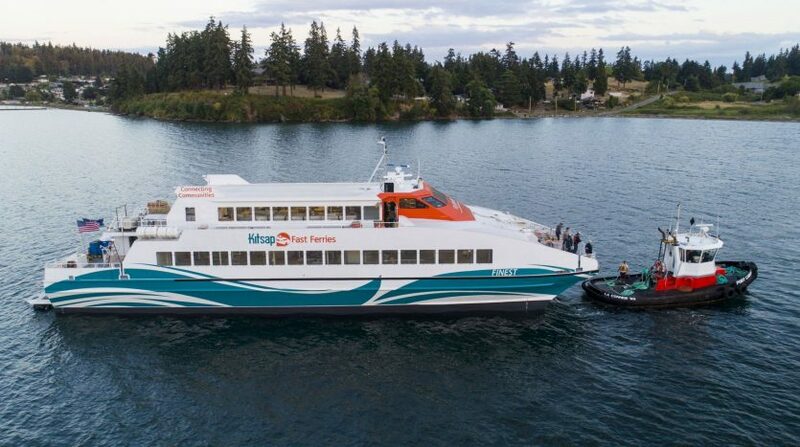 The Kingston Fast Ferry marks the second of Kitsap Transit’s new passenger ferries. 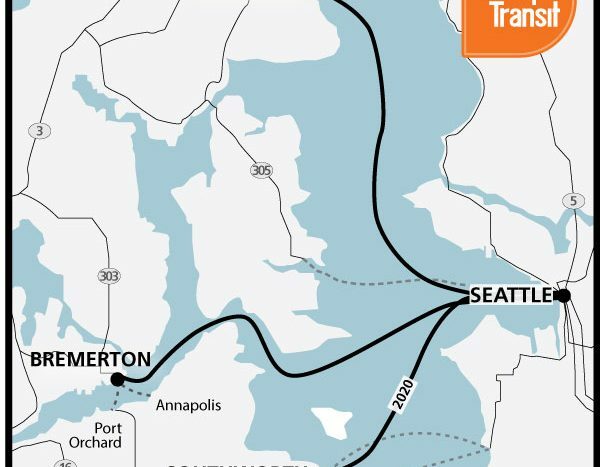 The Bremerton-Seattle route started last year, and the Southworth-Seattle route will begin in 2020, barring any delays. 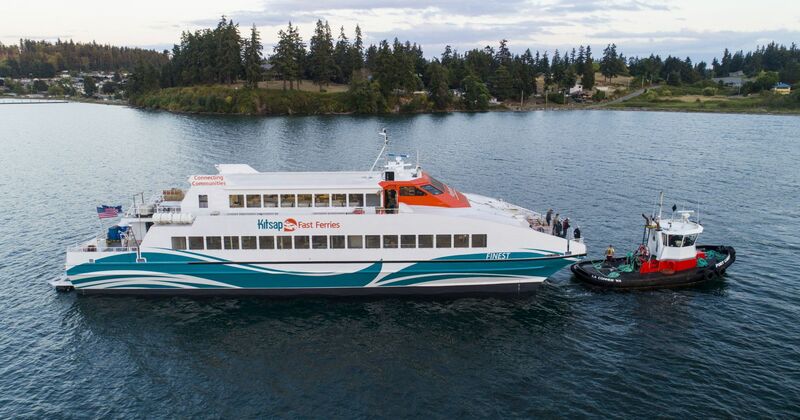 The Kingston Fast Ferry dwarfs it southern counterpart, though—it has a capacity of 350 passengers, compared to the Bremerton Fast Ferry’s capacity of 175. Due to its size, this ferry won’t have a reservation system—all tickets are first-come, first-served. Ticket prices match those of the Bremerton Fast Ferry: $2 to get to Seattle and $10 to leave. What does this mean for real estate? Kingston is now in the game. Don’t expect Kingston to become a glorified Seattle suburb, though—passenger-only service is a limited form of connection, and the ferry’s sparse sailing times restrict it further. This ferry won’t let anyone float over to Seattle for an evening concert, for instance. But commuters who work in or near downtown can jump at Kingston’s cheaper real estate. And with home prices still so high in Seattle, any alternatives are very welcome for prospective buyers.